Members of the Watertown Fire Department, Police Department and emergency dispatchers received awards on Friday for the work they did helping to save a man from choking. 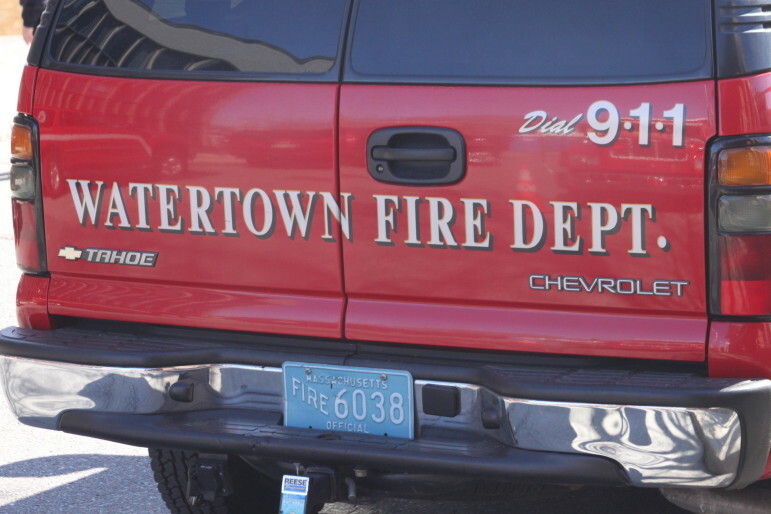 Watertown Fire Chief Bob Quinn announced the awards during a ceremony where the Fire Department also swore in new firefighters and officially promoted two others. On the evening of Dec. 7, 2018, a call came in for a man with an obstructed airway at Conley’s Pub & Grill on Belmont Street. Firefighters began to perform the Heinlich maneuver, and shortly afterward the man lost consciousness. Firefighters used a bag valve mask to restore breathing and the man soon regained consciousness. He was taken to Mount Auburn Hospital and he recovered. For their bravery, those involved in saving the man’s life received awards. Watertown Fire Lt. Chad Wheaton and Firefighters Shane Gleason, Patrick Carritte and Taylor Davis received the Company Citation Award. Watertown Police Officers Brendan Wojtowicz and Christopher Hoey received the Medal of Commendation. Watertown Public Safety Dispatchers Philip Dagostino and John Selig received a Letter of Commendation.